There is a litte town about 20 minutes from where I live called Veyo. They have a popular pool there that is nestled and surrounded by trees and rocks. I have so many fun memories playing and swimming there as a kid. We would catch crawdads that crawl around outside the pool, play at the arcade and have a blast swimming. They also serve amazing food! They are known for their to-die-for corn dogs! I crave their corn dogs every now and then, so I decided it was time to try making some at home. They turned out unbelievably delicious! I don’t own a deep fryer, so I just used a medium pot to deep-fry the corn dogs in. Although it seems a little intimidating, they were really easy to make. I will be making these again soon, without a doubt. 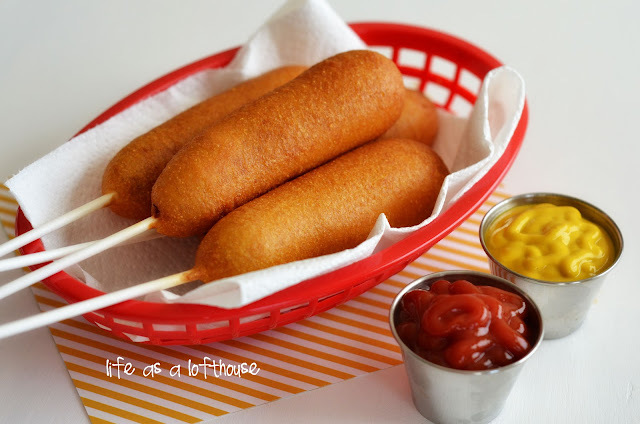 Delicious homemade corn dogs! They taste just like the ones from the fair. 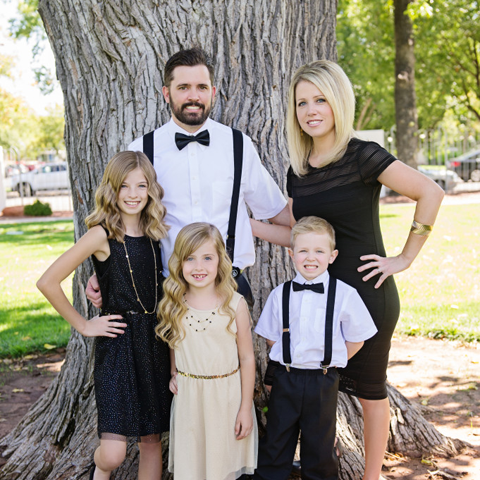 These are a family-favorite! These were. AMAZING! My Mom mad me make the meals for a couple days and WOW I tried these and they were perfect! I hadn’t had corn dogs since I was in grade 5. I loved them so much. I am differently going to be trying more of your recipes!! I would give them perfect 5 star review. 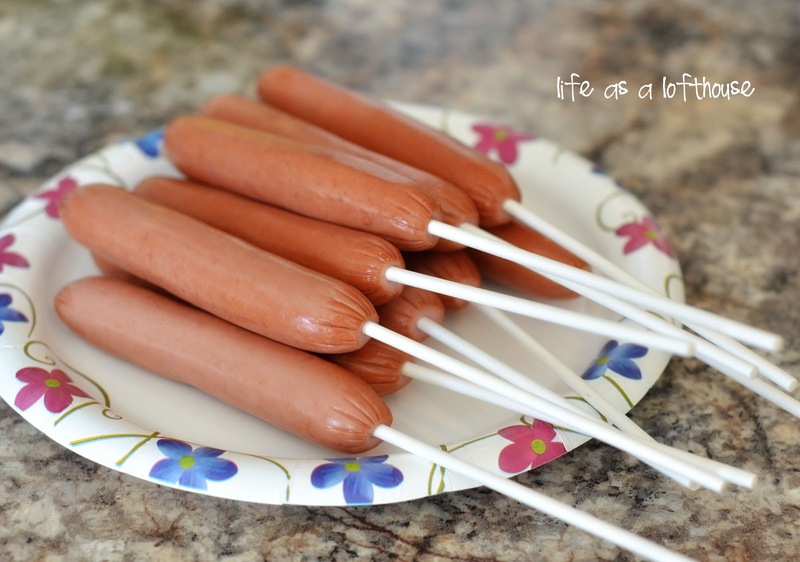 I’ve been craving corn dogs lately too and thought they would be fun summer dinner! Thanks so much for posting another fab recipe! Yum! They turned out so pretty. When I’ve tried them in the past, it’s hard to keep them from looking lumpy. Wow, those browned up perfectly. Those look amazing! 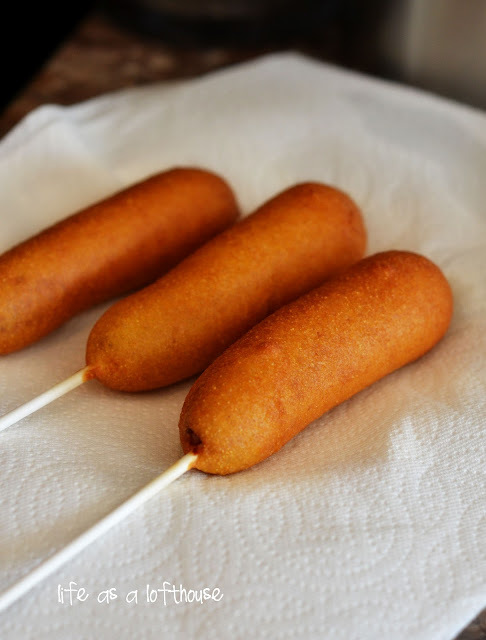 I love corn dogs, but have never had a homemade one. I cannot even imagine how much better homemade corn dogs are than from a store or Sonic. They look so easy, too! Great post! Cool recipe, these look professional! Hey Mrs Lofthouse, are you okay with people Pinning a link to your recipes as long as they give credit to where it came from? Or no? I like to save recipes I like in one place but since Pins are public I figure it’s good etiquette to ask first. Thanks! Whoa. My husband would love me forever if I made these for him. Well, I think he will anyway, but still… I might have to make these for our anniversary! My daughter would go bananas for these. They look really easy, too! Wow these look so good! I love corn dogs and have never thought to make them at home! 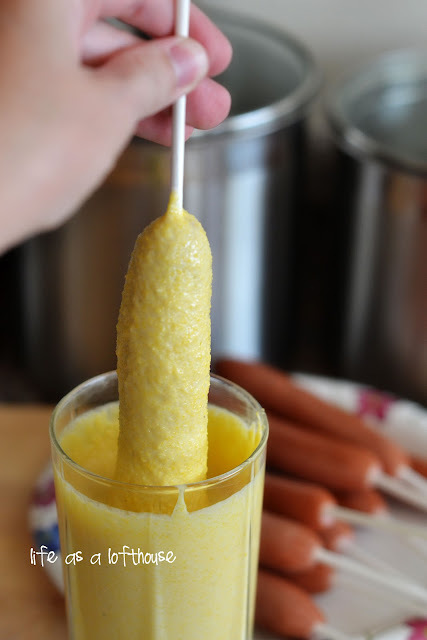 My daughter wanted corn dogs immediately after seeing this posted on Pinterest. We gathered all the ingredients and began making them. I had to add extra flour and meal, by the tablespoon, until I got it to the consistency is should be. After trail and error of 4-5 hotdogs loosing their coats, it finally worked. I am not sure what we did wrong. Ashlynn, sorry you had trouble with yours. I’ve made these twice since posting them (cause we love em’ so much! Lol) and they always turn out awesome! Just make sure you’re drying the hot dogs really well before you try coating them with the batter. That’s what helps make the batter stick. Might help with the batter sticking to coat weiners in light dusting of corn starch. Do you think it will work with a non-dairy milk such as soy or non dairy creamer? I am going to try it tonight with almond milk. I’ll let you know!! These look awesome! Haven’t had a corn dog in years! I know the recipe makes enough batter to coat 10 hot dogs so I wanted to find out if it can be stored in the fridge and used later? As a singleton with no kids, there’s no way I will eat 10 corn dogs on my own:-) Thanks! I can’t wait to try these…tomorrow!! LOL! Yum! Can you just use corn bread mix instead? No. It’s too gritty and doesn’t work. The ratio Holly has written is perfect. As soon as I put them in the hot oil, the corn batter came off, they looked nothing like the picture you posted, and I followed the recipe to a T. What happened? Just Me- I honestly am not sure. Was your oil not hot enough? If its at the right temp it should fry immediately. Like I said above I’ve made these a few times now and have never had that problem. In my environment yellow is normal. White cornmeal is only different in color. Hi! I just stumbled upon your recipe and those corn dogs look really delicious. There’s just something I would like to ask. I have a gluten intolerance, so would it be possible to leave the all purpose flour out of the mix? Do you know if the result will be the same? Melody, I have only used the flour in this recipe. Not sure if it would work without it. Sorry! Yes, the oil was hot enough, the only thing I can think of is I used a skillet, and didn’t submerge them all the way? I was making cupcakes the same day, so I used the leftover batter and made three corn muffins, they were pretty tasty. Melody, I think using Almond flour would make them delish. True that,also might roll the dry dog in some flowers. Then dip. Going to make them tonight. I made these tonight exactly how you said and ohhhh my they turned out AMAZING!!!!! Thank you sooooo much for a wonderful recipe. You must be a BIG allrecipes.com fan. 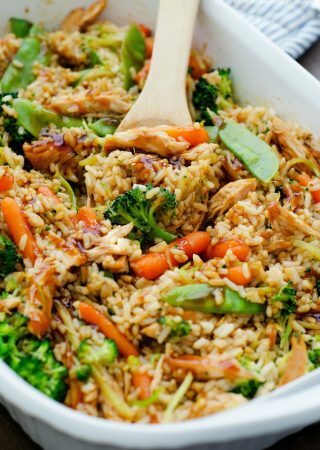 I see alot of my favorite recipes from there on your site! They are awesome! Nice to see pictures to go along with them here. I made these. Some substitutions because of allergies but they tasted great! Gluten free flour instead of regular flour and soy milk instead of buttermilk. They didn’t look as pretty as yours but tasted awesome! I miss food like this so thanks for sharing! I haven’t tried the corn dogs yet but THE VEYO POOL??!!! I spent my summers in that pool! I too remember the yummy food and can hear in my memory the sounds of kids jumping of the diving board, splashing in the pool, and the slam of the doors on the changing rooms! That pool was the greatest! Thanks for sharing this recipe and the fun memory. These look delish, can’t wait to try them, my hubby’s favorite food! Thanks. The corn dogs bites sound even better! Would love to make these but my daughter is allergic to colours,flavours and preservatives so we can’t use hot-dogs(or frankfurters as we call them in Australia) Does anyone know of a substitute? Someone mentioned tofu-dogs? Use kosher hot dogs they don’t have anything artificial. Excellent! My sister is already planning to make some too! Thanks for sharing… you make it look easy! My son is allergic to eggs, can you omit the egg, or will it not hold together? has anyone tried making these and then freezing them and microwaving them when you need a quick dinner fix? My boyfriend hates hot dogs, but loves brats. I wonder if it would work with brats even though they are a bit thicker. Has anyone tried it? I grew up going to Veyo. Best swimming and snack bar ever!! Loved their corn dogs, fries and hamburgers. Can’t to try and make these at home. Just made these and were perfect, I did have to add about a half cup more flour because it wasnt thick enough but after the adjustment they came out just perfect, beautiful color awesome crispiness!! Excellent!! Those look so much better than what you find out a grocery store. I am about to Pin this and hope to make them soon. Thanks for sharing! 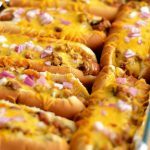 I hope this reply gets posted under the corn dog recipe (https://life-in-the-lofthouse.com/homemade-corn-dogs/#comments)…not sure if “Trackbacks” is a different article. I tried the corn dogs and at first the batter was too thin and slid off of the hot dog as soon as it hit the hot oil. So I added about 1/8 cup of corn meal and the same amount of flour, and then it worked. The corn dogs were okay, but I’d put more honey in the batter next time, as I like them sweeter. Also, I thought the meat would be hot after boiling in oil, but the hot dogs were only lukewarm, which I found unappetizing, so I zapped five at a time in the microwave for a minute, and that warmed up the meat while leaving the coating unaffected. My corn dogs turned out darker brown, perhaps because we don’t keep white sugar on hand, so I substituted natural (brown granular) sugar. Also, I live in Mexico, where it’s hard to find buttermilk, so I made my own by adding 1 Tbsp white vinegar to a cup of whole milk and letting it sit five minutes. We don’t have corn meal either, surprisingly—there’s either corn or masa (corn flour for making tortillas)—and corn meal is “más granulada”—had to get that in the States. Finally, we are at high altitude in San Miguel de Allende, in the middle of the country, so that may have affected the cooking, as well. I made five, not ten, so we have leftover batter and being from Minnesota, missing the food-on-a-stick at the Minnesota State Fair, I’m going to skewer a pickle, dry it off and try coating it with batter. My partner, who is Mexican, wants to use the leftover batter for milanesas de pollo (pounded chicken breasts coated in batter and sauteed). 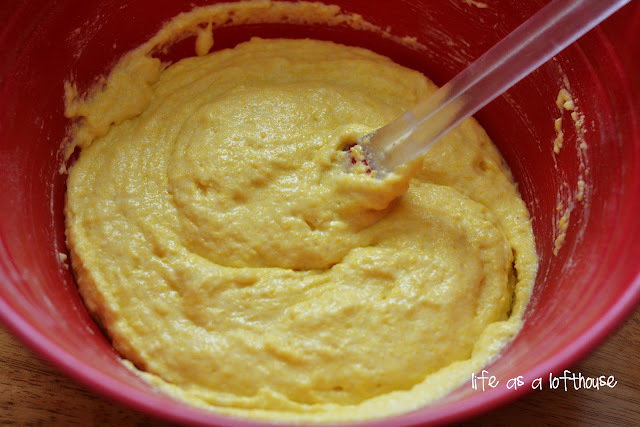 Definitely recommend adding an extra 1/2 cup of yellow corn meal and an extra 1/2 cup of flour to the mix. I followed the recipe to a “T” & the batter slid off the first one as soon as it hit the frying oil BUT they fried up perfectly after I added the extra flour & corn meal. Wonderful recipe, thanks! I made this tonight and it was great! This is the second time I’ve tried a recipe from your site and they’ve both been amazing (the first one was sweet and sour chicken)!! Thanks for this recipe! We make quite a few corn dogs at our house. I decided to try this recipe in lieu of my old one, with some minor changes. I omitted the sugar (we don’t like johnny cake-my husband’s too southern for it). I also used Crisco instead of oil (it made the dough crispier). If you’re having trouble with the dough sticking to the dog (and you’ve patted it dry with a paper towel), try plunging the dog in and out while slowly going up. It might take a few tries to get the hang of it. Also, we always boil the hotdogs before frying them to ensure they’re hot. Use a few paper towels in your hand to spear it so you don’t burn your hand (simultaneously drying the dogs). My kids love corn dogs! these were awesome and came out great!! Thx for posting! These were great and fun to make. Do u have any tips for getting all the excess grease off them after frying? Thanks! Just to let you know…we froze them. When we wanted one, I rolled it in a paper towel and put in microwave for 30 seconds then rolled it halfway and put it back in for another 30 seconds…came out perfect! I am so glad you posted this. I made these for my daughters birthday party and froze the leftovers. We’re having them tonight, but I wasn’t sure how long to re-cook them for. Just made these tonight and they came out wonderful! For some odd reason the batter kept falling off when I used the whole hot dog, so I cut them in half so they were smaller and then they turned out just great (also cuter, because mini food is just the best). My brother, who is a very picky eater, said they were the best corn dogs he’s eaten. Everyone was eating them as fast as I could make ’em. I followed the recipe to a T and used low fat milk. Thanks, Holly L! Can I use all purpose corn meal? My husband says these are the best!!! Veniece- That is so great to hear! SO happy you loved them! This is so cool ! I am in my 40’s and grew up going to the Veyo pool with my aunts ! Just made these tonight and they turned out great. I had to let the batter sit for about 10 minutes waiting for the oil to heat up and that helped thicken it up. I also made sure to let the oil get to exactly 350 degrees before I started frying the corn dogs. I think that and letting the batter thicken on its own kept the batter from sliding off. I don’t have a pot deep enough, so I cut the franks into fourths and fry them in my fry daddy for mini corn dogs. My family won’t let me buy store bought corn dogs anymore. I am about to make a few batches to freeze so that my kids have something they can just grab and warm up for a snack this summer. What caught my eye on pinterest was the “lofthouse” at the bottom. Familiar family name that you don’t always see alot. 🙂 Corn dogs look good too! 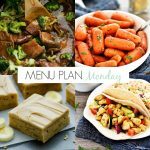 I have been having the best time planning my weekly meals using your website. The corn dogs brought me here a year or so ago and now i have tried and loved many of your recipes. 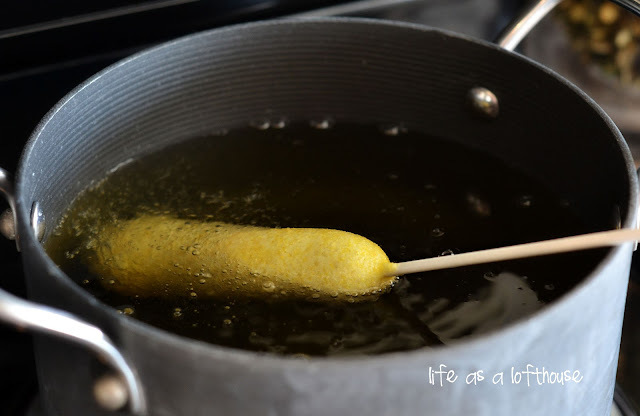 I revisited this one today for a 4th of July dinner…this time my now 3 year old ate and loved both the corn AND the dog I made mini corn dogs and hush puppies out of the leftover batter. Delish! Thanks for all the great recipes! Thanks for your sweet comment, Emily! I’m so happy my blog is helping with your meal plans, and glad the corn dogs were a hit 🙂 We love those too! Hi . Im jewish & we cant eat Dairy & meet , so i was wondering if there’s a substitute for buttermilk in the recipe? Thank you , jenny . Hi . Can you give me a substitute for the milk , since i cant eat it with dairy ( im jewish and its forbidden to eat dairy with meat) . It helped to first dip the very top for a minute so that if you accidently hit the bottom of pot, the top didn’t get damaged. My suggestion is make mini size that you can easily dip with a cocktail sausage. I would suggest making minis – much easier to dip. Don’t need so much oil then . I double dipped them after they cooled. I just was watching the cooking channel. Dinner at Tiffany’s. She Coates the hot dog into cornstarch before she dunked the dog into her batter. She said it helped the batter stay on better. Think I’m going to give it a try. Going to make these for my grandkids, they will love to do the dipping part. I will ONLY use Holly’s recipe for corn dogs. You can’t miss and won’t be disappointed. Thank you! I just made these tonight and WOW! They’re amazing! I have made these about a dzn times and always delicious. My hot dogs I use are Nathan’s and they get juicy and yummy and definitely hot! I have had a few misses where the batter immediately fell off’ but 99% of the time’ they turn out amazing. Also’ if the fryer is too hot’ the outside will cook brown but the hot dogs aren’t done. Made these last night, replacing the buttermilk with cashew milk/lemon juice, and they turned out wonderfully. Thanks for sharing! Can you substitute a non-dairy liquid for the milk? It looks so good, I want to try it! These look amazing! Although, I live by myself so I’d only want about two at a time. Have you tried freezing them then throwing them in the oven or something later? There was a comment above where they froze them at it was perfect. 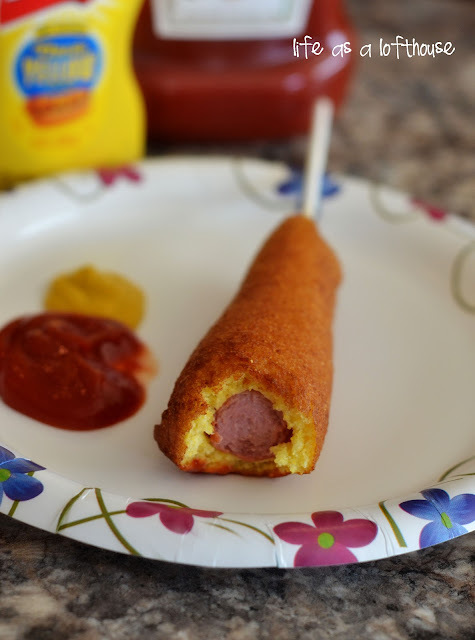 Wrap the frozen corn dog in a paper towel and microwave for one minute, turning half way. yammm! i tried to make corn dog at home at it was perfect .. I made these twice last week. They are so delicious. Thanks for sharing this recipe! 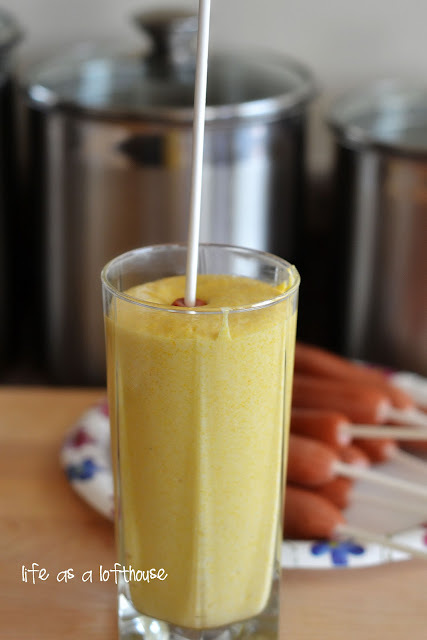 I made this for the kids tonight but I made the corn dog bites instead putting the stick in the dog and they were a hit…. I don’t eat hot dogs so I made myself the breading bites… sooo good.. I took two spoons and scooped into balls and dropped them into the oil.. wish I had a small ice cream scooper. It was a cold and rainy April Monday yesterday. And after a long day at work and school I thought comfort food would help brighten my loved ones day, and corn dogs came to mind, so I browsed the internet for local restaurants for Baltimore’s best corn dogs and found a few spots, but I stumbled on a recipe and decided to try my hand at making them. I sought after recipes and narrowed down three: Martha Stewart, All Recipes, and yours…Life in the Loft House. Your recipe deviated from the other two by using buttermilk & a spoonful of honey. You suggested wiping the hot dogs dry before dipping into the tall glass filled with the batter and using oil at 350*F: your recipe and hints are SPOT ON! To my surprise and my families joy the corn dogs came out PERFECT! I served the corn dogs with a dollop of yellow mustard, macaroni & cheese(s), and a spring salad. A perfect easy remedy to brighten the day of my loved ones! Thank you!! I just have done it! Exactly as you taught, it turned out beautiful and tasty yummi ! I’m from Ecuador and I made this last night for my kids, I had to add more milk to get the proper consistency because I used pre-cooked corn meal that is more common in my country and that absorb more liquid than regular corn meal! The corn dogs turn out perfect and delicious! 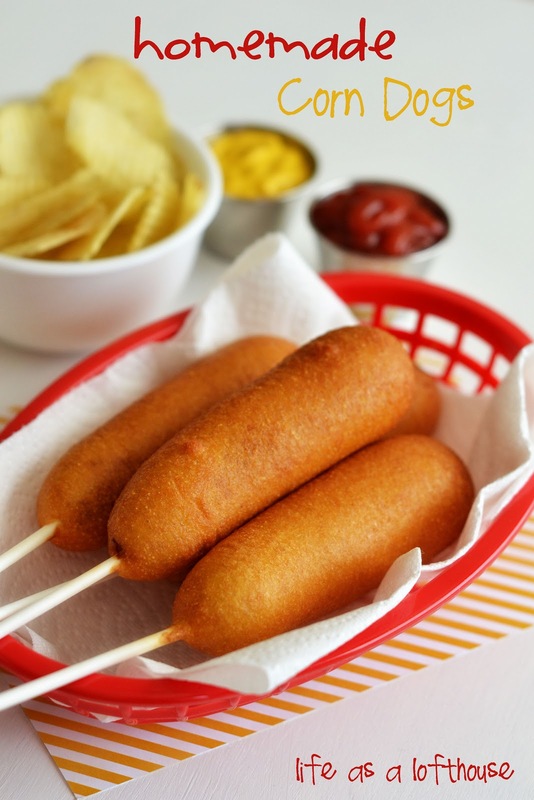 My kids love them (they haven’t tried them before) and so do I (I’ve tried corn dogs when I was a child when I traveled to U.S. but I wanted to do it from scratch)! Thanks for share this recipe! We loved this recipe. It will definitely go in our recipe box :). My mom uses to cook me corn dogs when I was a boy. One of the best memory left in me, so delicious. Thank you for sharing this amazing recipe. I don’t have skewers. Can I makes them without? No way! I live in Cedar City. It really is a small world. 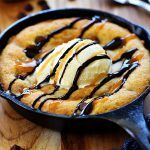 I found this recipe randomly on the internet. 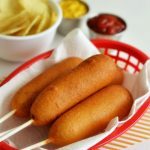 It is by far the best corn dog recipe I have found! Made these tonight, yum!! Looking back, I would add a smidgen more sugar or honey, and I only had a coarse corn meal, I think they would have been better with a finer grind. I also used w/w pastry flour, just had to let it sit about 20 minutes to let all the dry parts absorb the wet. I dried the dogs really well before dipping in the batter. No prob with any batter coming off. Made my own buttermilk with apple cider vinegar and whole milk, batter was very thick. I even had to thin it a little bit, used my almond milk then. I started the frying at 350* but it soon had accidentally rose to 400 degrees (Fahrenheit), and it really wasn’t a problem. With the leftover batter I made onion rings and they were equally delicious!! Thanks for a great recipe HUGS! GOTTA LOVE EM!!! I like to add a bit of Coleman’s dry mustard to the batter. Get creative and try this with some of the interesting fully cooked sausages out there. Cut dogs in half or bite size pieces to use less oil for frying.